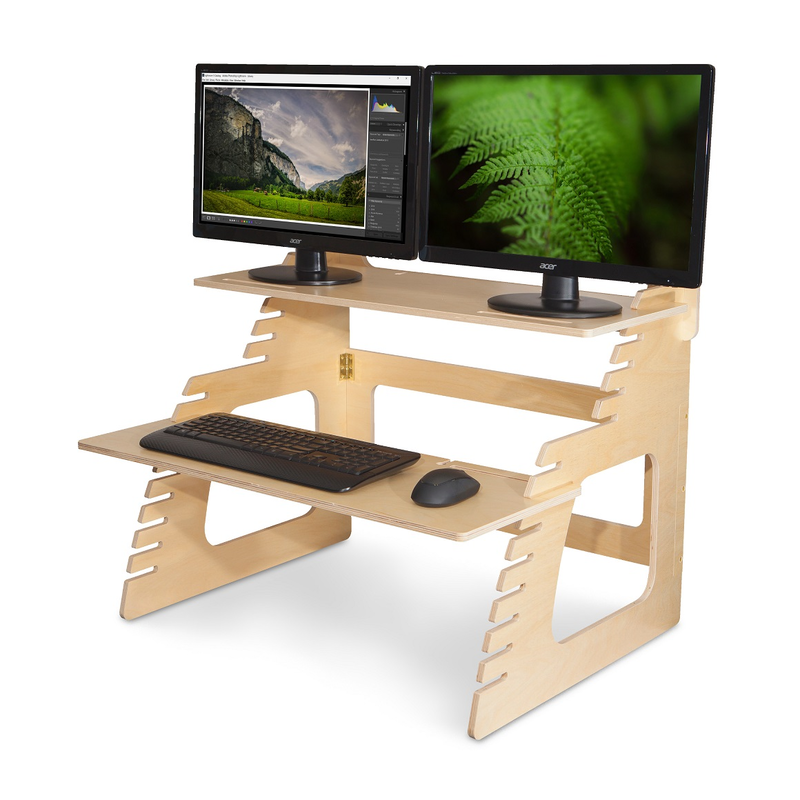 Well Desk provides an elegant and effective means to convert your existing workspace into an adjustable standing desk for up to two monitors. We’ve combined an intuitive design with quality wooden materials to create a desk that works specifically for you. Typically fits people 5' to 6' 3" in height. The 31" keyboard shelf fits all keyboard and mice combinations.